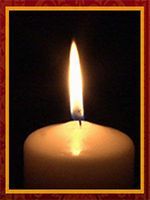 M. Jean Martin, 93, passed away on March 12, 2019 at Brethren Village in Lititz, PA. Born in Drumore Township, Pa to the late J. Percy Martin and Lulu A. (Brabson) Martin, she was a lifelong resident of Lancaster and worked her entire career at Penn Savings. She is predeceased by brothers John. P Jr., Walter B., Ira W., and Donald B. Martin. Jean’s extended family was very important to her; she is survived and will be missed by ten nieces and nephews, and numerous great and great-great nieces and nephews. She is predeceased by a nephew. She was a member of the Chestnut Level Presbyterian Church. In addition to collecting antiques, Jean greatly enjoyed reading, especially her time as a volunteer reader for the Lancaster Co. radio service for the blind. Additionally, she greatly enjoyed the history of Lancaster, the Insomniacs Tours and was a member of the Happy Hours Club that met at Emmanuel Lutheran Church in Lancaster. The family wishes to thank the staff of Brethren Village and Hospice for All Seasons for the loving and compassionate care they offered Jean. Lancaster, PA 17603. The family is holding a celebration of Jean’s life on April 13, 2019 at 11 AM in the Brethren Village chapel; internment at Chestnut Level will be private.